As commercial suborbital vehicles get ready to carry both payloads and people to a mission, NASA officials say they’re willing to consider agency-funded researchers to fly on those vehicles. NASA official, Steve Jurczyk, mentioned at the Suborbital Researchers Conference (December 19, 2017) that the agency is open to allow researchers funded by NASA’s Flight Opportunities program to fly on suborbital spacecraft to carry out their experiments. 2. Are companies already testing this? Zero-G, using their Boeing 727, does parabolic flights with researchers flying on the aircraft with their experiments. Coincidently, Zero-G is part of NASA's Flight Opportunities program, which would allow NASA to follow the same procedure as Zero-G's, to allow researchers on board. Blue Origin’s vehicle, New Shepard, is already carrying research payloads (some for the Flight Opportunities program) but without people on board. However, the vehicle will support missions carrying payloads and people in a near future. 3. Is this completely safe? The risk of this fieldwork is similar to that of a marine biologist or a marine geologist, which put themselves in the front-lines of their field. Most likely, those on the missions, along with his/her family, will need to sign liability waivers. 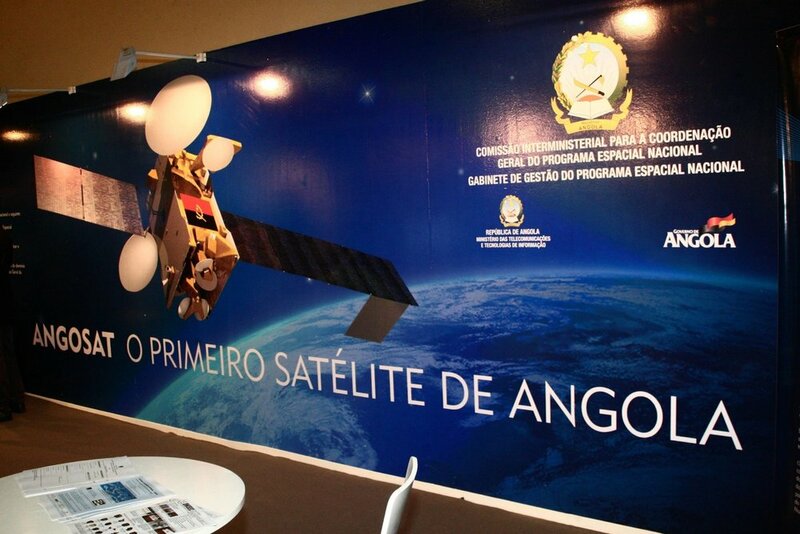 Russia loses contact with Angola's first satellite, AngoSat-1. UPDATE. RSC Energia (Moscow) announced on December 27, 2017, that the telecommunications satellite AngoSat-1, built for Angola, stopped sending telemetry short after separation from the rocket that took it to geostationary transfer orbit. The AngoSat-1 is an Angolian satellite that was launched December 26, 2017, on a 9-hour Zenit mission from the Cosmodrome in Kazakhstan. AngoSat-1 is a geostationary communications satellite operated by Angosat and built by the Russian company RSC Energia. It is the first communications satellite of Angola. The AngoSat-1 was going to its 13-degrees East orbital location by using its propulsion when contact was lost. The satellite supported 16 C-band and 6 Ku-band transporters and was designed to live 15 years in space (like any other geostationary telecom spacecraft). Angosat-1 will be providing coverage over all of Africa and parts of Europe. 4. Has this happened before? Russian manufacturers of satellites have built numerous spacecraft domestically, but don’t have many exports. Israeli satellite operator Spaceom’s Amos-5 satellite was built by Russian manufacturer ISS Reshetnev but ceased communication in 2015 just two years after launch due to a power failure. The morning of December 29, 2017, Energia and Roscosmos confirmed that the satellite is sending telemetry and that the onboard systems are in good health. The Angolan National Office for Space Affairs, or GGPEN (Gabinete de Gestão do Programa Espacial Nacional), said (in a Portuguese-language website update) that the satellite regained contact at 9:00 a.m. Eastern (3:00 p.m. local time in Angola) on Dec. 28, one day after the glitch. Earlier this month (Dec. 12), ispace surprised the space community by raising $90.2 Million USD for a series of robotic missions to the moon. This is one of the largest Series A funding rounds that has ever been raised in Japan, and the one largest for any emerging space venture. 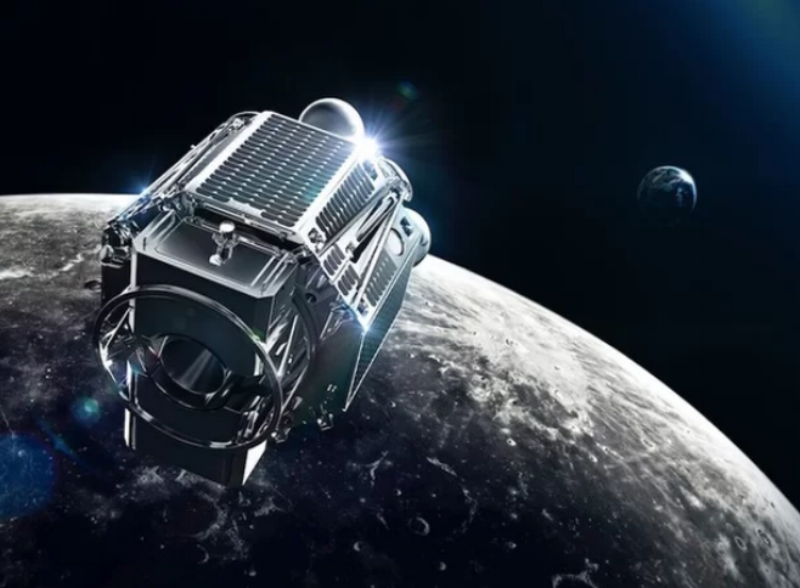 The funding will be used to develop two missions by the end of 2020 to orbit and land on the moon. 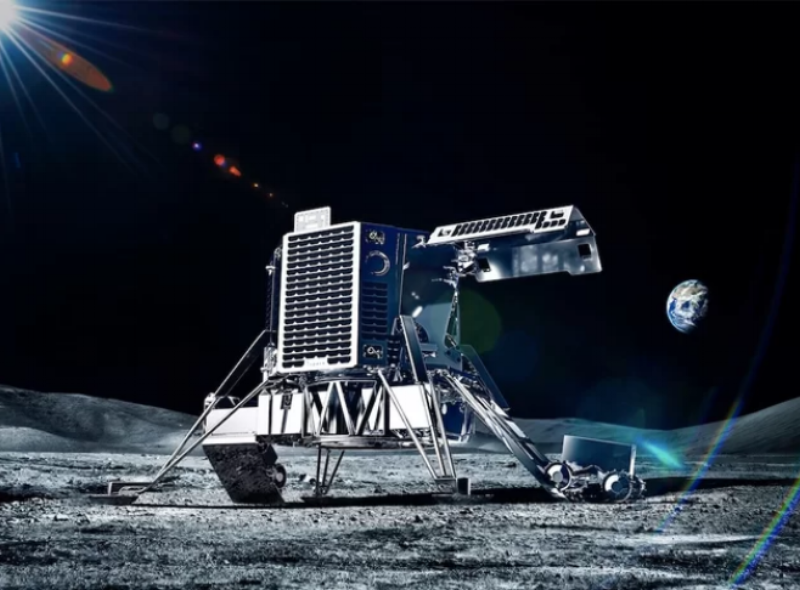 The first mission, planned for 2019 Q4, aims to develop a lander system and launch it into a lunar orbit. This mission’s goal is oriented just to observe the lunar surface. The second mission, expected by the end of 2020, will attempt to land on the surface of the moon and deploy a small number of rovers. After two key developmental milestones (PDR & CDR) in 2018, ispace could possibly launch from SpaceX Falcon 9. The Japanese company is in discussion to see if this can be done as a secondary payload to this launch vehicle. The success of these two missions can spark an interesting business model for ispace. 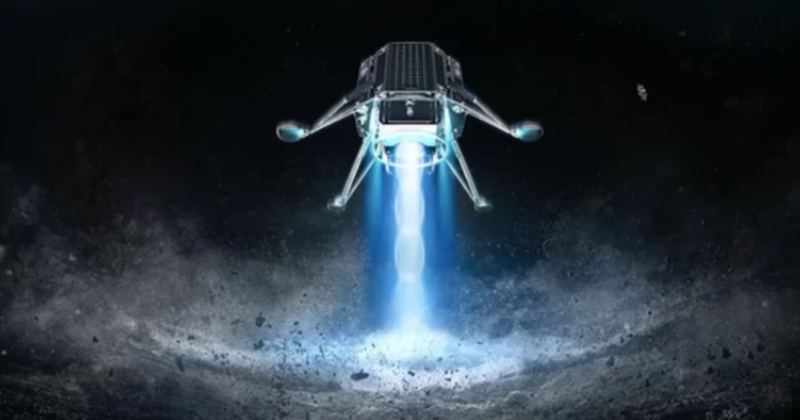 If successful, the company plans to offer a series of lander missions to the moon capable of carrying up to 30kg of customer payload per flight. “We are going to establish a transportation business to the moon,” he said. “One key concept is regular, scheduled transportation to the moon.” He notes, such missions could fly on a monthly frequency depending on customer demand. Lastly, he states “if we can successfully demonstrate our technologies through these first two missions, we don’t need to raise additional funding.” Sounds ambitious, but then again, which space company isn’t! On December 15, SpaceX's Falcon 9 successfully launched a cargo on the Dragon spacecraft to the International Space Station (ISS).This launch is the first use of a previously-flown first stage for a NASA mission. The launch happened at 10:36 a.m. EST from Cape Canaveral Air Force Station in Florida, sending the company's robotic Dragon capsule on a resupply run to the ISS. The capsule was filled with gear and scientific tools. The new gear includes a wired one-square-meter shield that will be mounted on the exterior and it will offer real-time analysis of the potential damage caused small space debrief. Another new component will assess if it’s possible to make better optical fibers in micro-gravity for fiber optic products. Surprisingly, a third experiment will explore the possibility of brewing beer up in space. Budweiser sent 20 barley seeds to the ISS to learn if the seeds grow at the same rate in space than they do on Earth. Space X made it official on Sunday (December 17, 2017) by tweeting that the capsule had officially arrived at the ISS. One last item that wasn't taken by the Dragon is a digital file of Star Wars: The Last Jedi. Disney will uplink the film to the ISS through mission control at NASA’s Johnson Space Center in Houston. Below you can watch as the SpaceX's CRS-13: Dragon berths to the ISS. The SpaceX Dragon CRS-13 cargo spacecraft was berthed to the Harmony module of the International Space Station on 17 December 2017 using the Station's robotic Canadarm2. The CRS-13 Dragon spacecraft was launched by SpaceX Falcon 9 launch vehicle from Space Launch Complex 40 (SLC-40) at Cape Canaveral Air Force Station, Florida, on 15 December 2017, at 15:36 UTC (10:36 EST). According to New York Times, the Pentagon has confirmed that it spent $22 Million USD on a program that ran from 2007 through 2012. 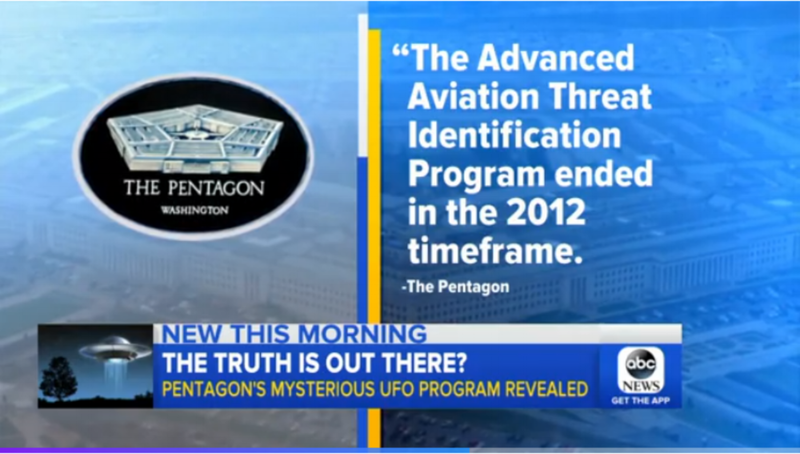 The once closely guarded operation was called “The Advance Aviation Threat Identification Program,” and it was meant to analyze anomalous aerial vehicles specifically those shot by military planes. Ironically one of the clips that were released in this bombshell revealed by the Pentagon just so happened to involve retired Cmdr. David Fravor. He tells ABC News he was conducting a training drill when the UFO encounter happened. “I can tell you, I think it was not from this world. I'm not crazy, haven't been drinking. It was — after 18 years of flying, I've seen pretty much about everything that I can see in that realm, and this was nothing close." Thirteen years ago during a training mission in Southern California, Fravor states controllers on one of the Navy ships on the water below reported objects that were dropping out of the sky from 80,000 feet and going "straight back up." While the crew looked at the object on the radar, they spot something gliding under the surface of the water. “We look down, we see a white disturbance in the water, like something's under the surface, and the waves are breaking over, but we see next to it, and it's flying around, and it's this little white Tic Tac, and it's moving around — left, right, forward, back, just random," he said. "When it started to near us, as we started to descend towards it coming up, it was flying in the elongated way, so it's [like] a Tic Tac, with the roundish end going in the forward direction ... I don't know what it is. I don't know what I saw. I just know it was really impressive, really fast, and I would like to fly it," he said. Later in the interview, Fravor mentions how the object dramatically speeds away only to reappear minutes later. As another plane gets near it the object quickly takes off. "I don't know if it was alien life, but I will say that in an infinite universe, with multiple galaxies that we know of, that if we're the only planet with life, it's a pretty lonely universe." Thales Alenia Space has partnered with 3 major U.S. companies, which are working on NASA studies of the concepts for the proposed Deep Space Gateway. Thales Alenia will leverage their knowledge and expertise in space stations and cargo module development. On December 14, 2017, Thales Alenia announced that Boeing was the latest company they are working with as part of NASA’s Next Space Technologies for Exploration Partnerships 2 (NextSTEP-2). Thales has also been working with Lockheed Martin and Orbital ATK. 2. Are any other companies involved? The NextSTEP-2 program awarded Lockheed Martin, Boeing, Orbital, Bigelow Aerospace, NanoRacks and Sierra Nevada Corporation. The awards are public-private partnerships, with companies contributing their own funds in addition to NASA funding, which has a combined value of $65 million. 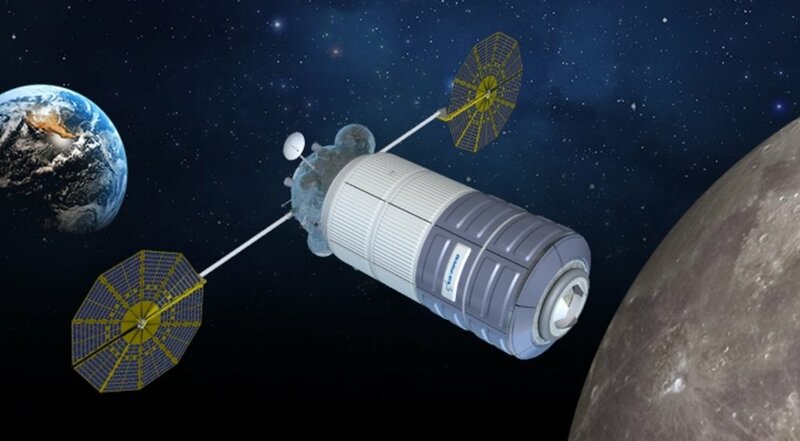 Most of the companies with NextSTEP-2 awards are working on concepts for habitation modules that could be used on missions beyond Earth orbit, such as the agency’s proposed Deep Space Gateway in cislunar space. The awards cover technology development as well as the construction of ground-based prototypes. 3. How will Thales Alenia contribute? Thales Alenia Space is working with Orbital ATK trying to adapt the Cygnus spacecraft for deep space applications. Thales Alenia provides the pressurized cargo module for Cygnus cargo missions to the space station. This is certainly the beginning of deep space habitation. 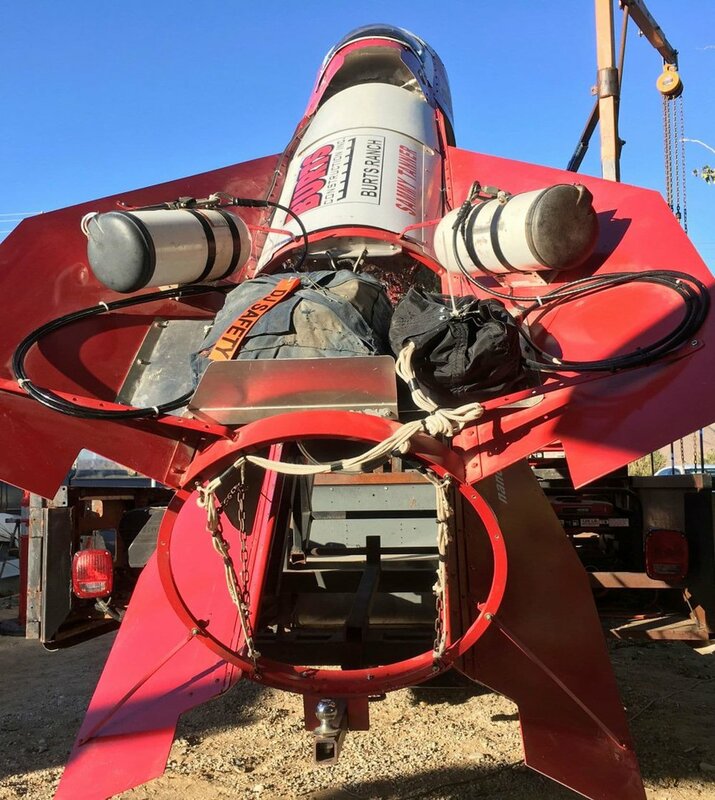 Seeking to prove that a group of astronauts and the government fabricated the shape of the Earth, Mike Hughes, a California ma, also known as Mad Mike, will launch himself from his home-made rocket in the Mojave Desert. His rocket will go about 1,800 feet (~0.550 km) high and will then use a balloon that will elevate him up to 20,000 feet (~6 km) which will allow him to see his "flat Earth" prediction. Assuming the 500-mph, mile-long flight through the Mojave Desert does not kill him, Hughes says his journey into the 'atmosflat' will mark the first phase of his ambitious flat-Earth space program. 2. Has anyone backed him up? Much to people's surprise, Mad Mike has an entire community rooting for him. In fact, he has raised over $7,000 USD, from over 100 people that support his idea. The GoFund me says, "Knowing that NASA doesn't send anyone to space, Mad Mike could be one of the only people up in the air in a rocket. This is important we get behind him". As of now, the actual launch has been pushed back a few times because Mad Mike has yet to get the federal permission to launch. Hughes claimed the Bureau of Land Management (BLM) said he couldn't launch his rocket as planned in Amboy (Mojave). He claimed the federal agency had given him verbal permission more than a year ago, pending approval from the Federal Aviation Administration. However, a BLM spokeswoman said its local field office had no record of speaking with Hughes and that he had not applied for the necessary special recreation permit to hold an event on public land. You can see Hughes' latest update in the following video. We wish Mad Mike the best of luck in his future endeavors and that his message goes around the world. Virgin Orbit Scores First Defense Launch Contract, Plus a Bullish Outlook! After a six month period of discussion, Virgin Orbit gets its first government defense contract (Nov.16) for a LauncherOne mission. The U.S. Air Force’s Space Test Program partnered with the Defense Innovation Unit Experimental (DIUx) to make the launch award to Virgin Orbit. The launch will carry a selection of Space Test Program payloads to be chosen closer to launch. Dan Hart, chief executive of Virgin Orbit, states in a phone interview, “We spent the better part of six months or so in discussions … DIUx has the mission to be agile and really drive forward, so we were able to really approach things quickly and efficiently.” He also believes the Defense Department’s interest in LauncherOne stems from a growing desire in resiliency in space systems, especially those in small satellites and launch platforms. Upon news of this contract, Virgin Orbit also announces the formation of a new subsidiary called VOX Space. This subsidiary will provide the national security community of the USA and allied nations with responsive, dedicated, and affordable launch services for small satellites bound for Low Earth Orbit. VOX Space will be in charge of mission management, engineering, and other related services for LaucherOne. LauncherOne is in the final stages of development. Its carrier aircraft, a Boeing 747 that was formerly a passenger airliner for Virgin Atlantic, is currently in flight tests after undergoing modifications to accommodate the launch vehicle. A pathfinder version of the rocket, meanwhile, has been shipped from the company’s factory in Long Beach, California to the Mojave Desert for testing, including static fire tests of both stages. 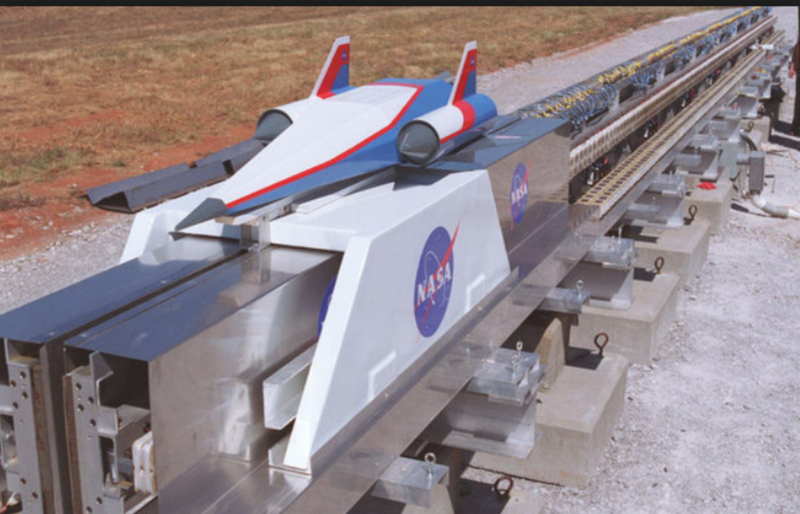 General Atomics, CubeSats, and Rail Guns to Space! General Atomics, who is better known for building combat drones and mining uranium, is on a smallsat acquisition roll. Last February, they acquired Miltec and managed to get a foothold in small satellite production. On November 13, they acquired assets from Surrey Satellite Technology (SST), striking a deal for their Colorado’s smallsat factory for an undisclosed amount. This purchase expands General Atomics' range of small satellite production. Nick Bucci, vice president of missile defense and space systems for General Atomics’ Electromagnetic Systems Group, told SpaceNews last month that the company is building 3U and soon 6U CubeSats weighing just several kilograms, but wanted to build spacecraft weighing as much as 500 kilograms. Owning SST-U.S’s factory provides that capability. General Atomics prefers closer ties with defense customers rather than building CubeSats for commercial customers. Because CubeSats are fairly low budget satellites, General Atomics sees the need to address the concern of quality and mission success. They aim to achieve this by building spacecraft with more stringent requirements and offering reliability to defense customers that they will work as expected. The company has built 11 CubeSats up to date. 2. Rail Guns to Launch Spacecraft? The ISS (International Space Station) is a habitable space station in Low Earth Orbit (LEO). The first component was launched into orbit in 1998. Now, the ISS is the largest human-made body in LEO and can often be seen with the naked eye from Earth. The station is made up of pressurized modules, external trusses, solar arrays, and other parts. The ISS components have been launched by Russian Proton and Soyuz rockets, and American Space Shuttles. The ISS program is a collaborative project between five space agencies: NASA (USA), Roscosmos (Russia), JAXA (Japan), ESA (Europe), and CSA (Canada). The ownership and use of the space station is established by intergovernmental treaties and agreements. The space station is divided into two, the Russian Orbital Segment (ROS) and the United States Orbital Segment (USOS), which is shared by many nations. Here are 5 interesting facts about the ISS that you can share with your friends and family. 1. You can actually sign-up to see when the ISS is flying over your head. Taking into consideration that the space station orbits Earth (and sees a beautiful sunrise) once every 92 minutes! Although it is not as alarming as it sounds, it's more of a safety feature. The TP-82 (triple barreled) gun is intended to be used against animals, in case the spacecraft comes down to Earth in the forest or other deserted areas. This happened during several flights (early on) in the Soviet space program, when landings were not as precise. The ISS costs around $160 Billion USD to make. In a rough estimate, the Great Pyramid (in Egypt) would cost around $878 million USD in today's money (that's building it with the current cost of the limestone and labor). 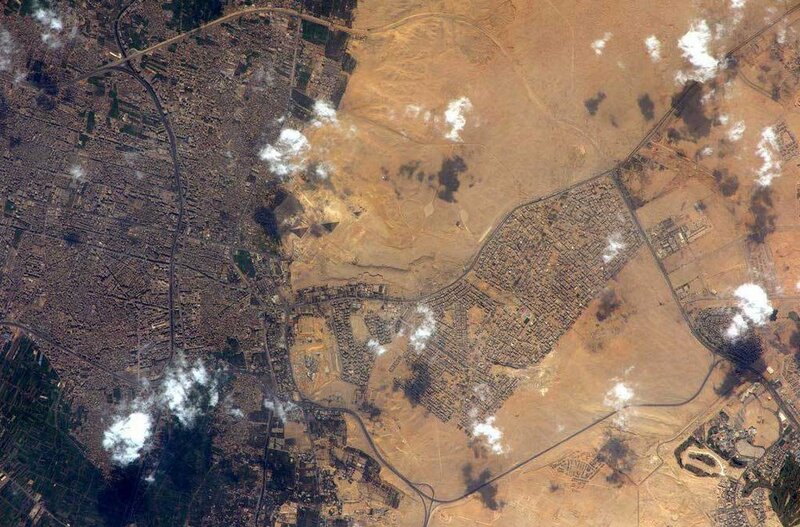 We could rebuild 114 Great Pyramids for the cost of the ISS. Also, in today's crypto-currency era, the ISS would be worth about 9,568,000 Bitcoins. 4. The U.S control computers have 1.5 GB of total main hard drive storage!! Compare that to modern PCs that can easily have 500 GB hard drives. Additionally, in the ISS’s U.S. segment, 1.5 million lines of flight software code run on 44 computers communicating via 100 data networks that transfer 400,000 signals (that include pressure readings, temperature measurements, valve positions, etc.). On December 15, 2017, audiences around the world will get to marvel at Star Wars: The Last Jedi. 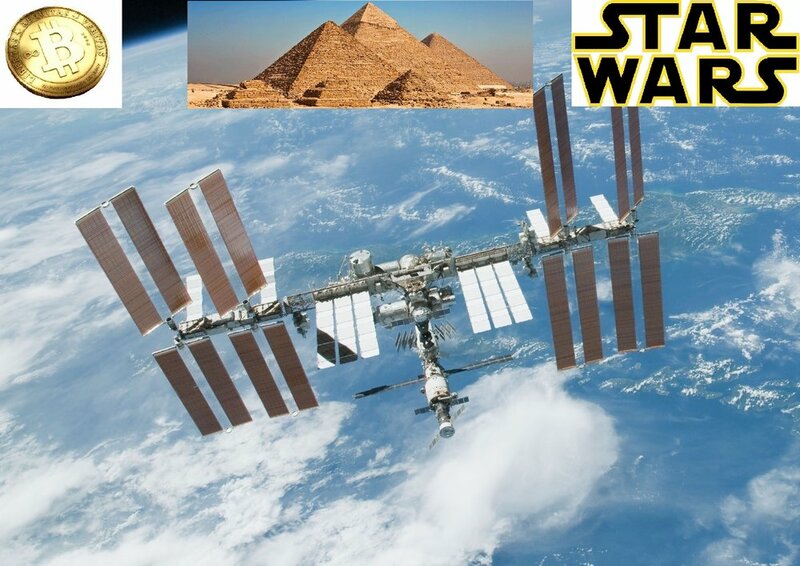 But astronauts aboard the International Space Station will get to watch the latest Star Wars flick literally in LEO! Ultimately, NASA is on a limited budget, and maintaining the space station costs about $3.5 billion per year. If NASA decides not to inhabit the ISS beyond 2024, the space station would experience a fiery death as it plunges through the Earth's atmosphere on a controlled trajectory, to splash down into the ocean.